Two new monster movies are being released in the lead-up to Christmas, and each sports a very different kind of beast. 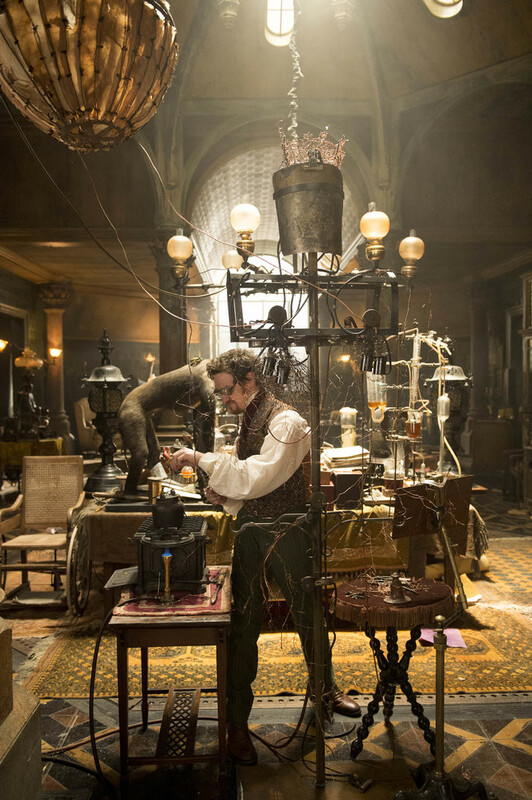 There’s the man-made creation of Victor Frankenstein in the latest rendition of Mary Shelley’s gothic tale, a grotesque creature cobbled together from “the dissecting room and the slaughter-house”. And then there’s Krampus, an American re-working of the evil Austrian counterpart to Father Christmas. The word “monster”, as this shows, covers all manner of things. Man-made, such as Frankenstein, folkloric demons such as Krampus, and then there are also the classical images of exotic peoples with no heads or grotesquely exaggerated features, or the kinds of impossible chimerical beasts inhabiting the pages of medieval bestiaries. The etymology of monstrosity suggests the complex roles that monsters play within society. “Monster” probably derives from the Latin, monstrare, meaning “to demonstrate”, and monere, “to warn”. So monsters, in essence, are demonstrative. They reveal, portend, show and make evident, often uncomfortably so. How they have been created over the centuries is much more indicative of the moral and existential challenges faced by societies than the realities that they have encountered. Though the modern Gothic monster and the medieval chimera may seem unrelated, both have acted as important social tools. Until relatively recently in history, monsters close to home, such as deformed babies or two-headed calves, were construed as warnings of divine wrath. Monstrous depictions in newspapers and pamphlets expressed strong political attitudes. Traditional monstrous beasts such as basilisks or unicorns, that were banished to distant regions in maps, represented a frightening unknown: “here be dragons” effectively filled cartographic voids. Simultaneously, however, monsters represented the wonderful diversity of divine creation, a playful “Nature” that produced a multitude of strange forms. Exotic beasts brought to Europe for the first time in the 16th century, such as armadillos or walruses, were often interpreted as “monstrous”. More accurately, they were made into monsters when they were defined as such: as things that did not fit into the accepted natural categories. An armadillo became a pig-turtle, while a walrus was a sea-elephant. Beasts that subverted what was expected in some way actually reinforced categories by clarifying the defining criteria for these groups. By transgressing, they helped to determine boundaries. Because to define a deviant form, such as a “deformed” baby or calf, or a “monstrous” exotic creature, you have to define “normal”. For example, the simple definition of a “bird” was something that had two legs, two wings, could fly and walk. Then two new creatures arrived in the 16th century that seemed to violate this definition. 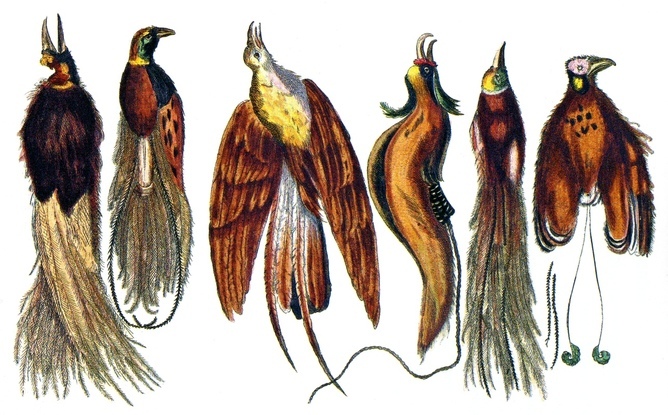 First, birds of paradise were brought to Europe in 1622 as trade skins with stunning, colourful plumes but no legs or wings. Their limbs were removed by the hunters who supplied the birds in New Guinea. The birds were interpreted by European naturalists as heavenly creatures that never landed, inhabiting the boundary between the avian and the angelic. At the other end of the avian spectrum, Dutch sailors landing on Mauritius at the end of the 16th century encountered dodos. Though rarely brought to Europe physically, the descriptions and detached parts of dodos were used by naturalists to depict ungainly, fat birds. Not only did dodos not fly, they could hardly walk. 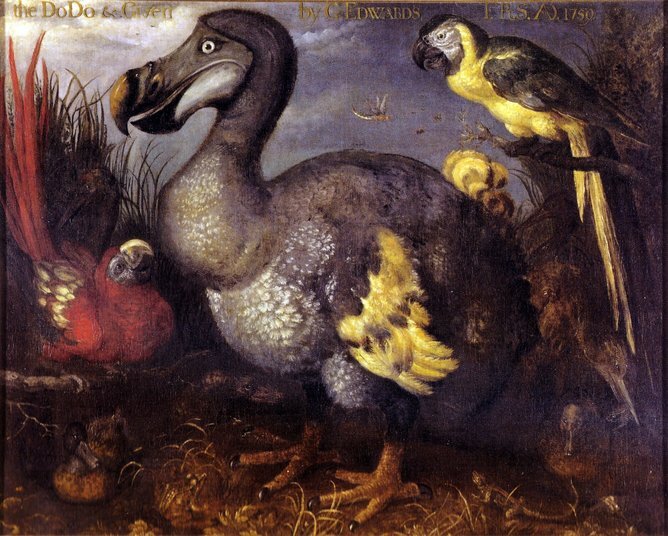 The dodo was therefore depicted as vast and gluttonous in late 17th-century accounts. It greedily consumed everything it came across, even hot coals. It was described as nauseatingly greasy to eat: one bird could apparently feed 25 men. This image was created by writers who had never seen the bird, and is not supported by current paleobiological evidence. The idea of the avian glutton embodied European anxieties about the rapacious colonial trading activities in the Indian Ocean, which brought a surfeit of riches to Europe. The engorged dodo became a scapegoat for the European sin of gluttony. Monsters, therefore, are not self-evident; they are created to serve certain roles. Making things monstrous also added value. They became commercially lucrative things: oddities, curiosities and rare things were very marketable. The market for monstrosity further motivated the literal creation of monsters: “mermaids” were assembled from pieces of fish, monkeys and other objects while “ray-dragons” were created from carefully mutilated and dried rays. These objects could be sold to collectors or displayed in menageries and freak-shows. Writing about and portraying virtual monsters helped to sell books and pamphlets. So how do we use our monsters today? One of the two monsters set to hit cinemas displays the dangers of hubristic human enterprise (Victor Frankenstein); the other provides a dark embodiment of Christmas-spirit gone awry (Krampus). Such monsters are images that embody the cultural or psychological characteristics that we as a society find difficult to acknowledge. By excising them, through fantastical narratives, we rid ourselves of the undesirable attributes they are perceived to carry. The cathartic consumption of monster-culture provides us with a safe, removed space to explore and excise social anxieties. 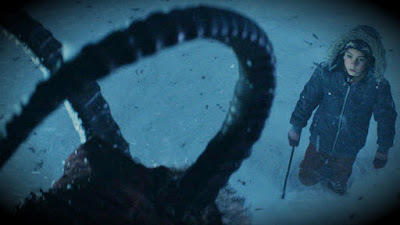 It also offers the illusion of absolution from them by externalising anxieties into ridiculous figures, such as Krampus. Monsters such as this proffer us pastiches of moral messages in easily-swallowed forms that both highlight their potential threat, and soothe us by defusing it. Though it may not seem so, this has always been the most important role that monsters have played: they horrify us, yes, but ultimately their function is to remove what we find horrifying about ourselves. So we can recoil at the gory construction of Frankenstein’s monster, or shriek at the toothy maw of Krampus for a few hours, then leave them happily behind when the credits roll.